If you add just 2,000 more steps a day (about an extra 1 mile of walking) to your regular activities, you may never gain another pound. Research by Dr. James O. Hill suggests those 2,000 steps can burn 100 calories and make the difference. If you want to lose weight, he suggests starting with 2,000 more steps per day and then adding more steps. Sedentary people in the USA generally move only 2,000 to 3,000 steps a day. Studies have shown that moving 6,000 steps a day significantly reduces the risk of death, and walking 8,000 to 10,000 a day promotes weight loss. It is a good start to add 2,000 more steps to each day. You will go about a mile in 2,000 steps. If you walked it continuously, it would take 15 to 25 minutes. But the benefits for health and for weight management don't depend on you walking a mile all at one time, but simply adding in more steps throughout the day. By tracking your total daily steps with a pedometer, fitness band, or pedometer app on your mobile phone. you will see how you accumulate steps. Buy a step-counting pedometer or start using a pedometer app. Set your pedometer or app so it is counting accurately. Wear your pedometer throughout the day or ensure you are carrying your phone with you most of the day. See how many steps you take on an average day, then add 2c000 steps to set your daily walking goal. 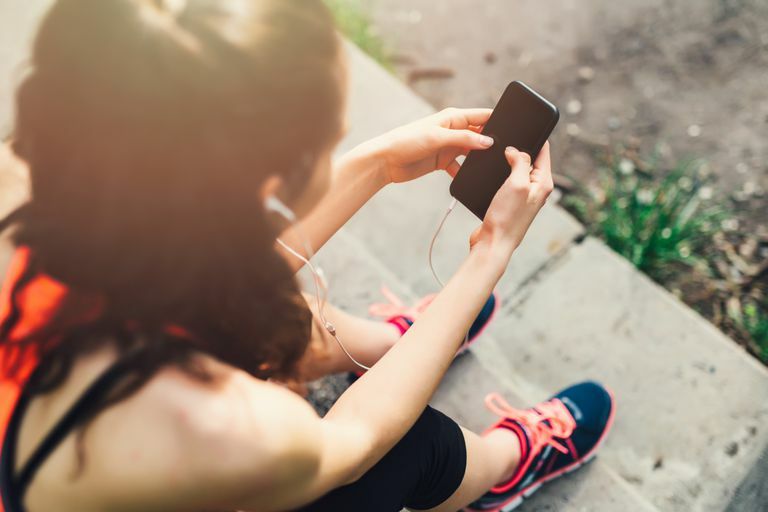 With apps and online dashboards, you can often set your own goal rather than just accepting the standard 10,000 steps per day. Chart your steps each day or check the daily log for your pedometer app or activity monitor. Make a game or challenge of it. If you are using a pedometer that has an associated app or online dashboard, set goals and join in any challenges they have. It is very effective to have friends with the same fitness band and compete with them. How can you stop sitting still and get more steps per day? Here are ways you can achieve more steps throughout the day and reduce the health risks of sitting still. Park in the far back of the parking lot and walk farther to the door. Get off the bus a stop or two before your usual stop and walk the rest of the way. Use the farthest entrance into your workplace from your parking spot or bus stop, and walk through the building to your work area. Don't stand; pace when waiting for the bus, waiting at an elevator, etc. pace around in circles rather than just standing. Circle the room when waiting for meetings to start. Use the restroom, copy machine, water fountain, break room, etc. that is farther from your work area. Take the stairs rather than the elevator, especially for one to three floors, both up and down. Rather than phone, text, or email, walk to a coworker's office or neighbor's house and talk to them in person. When people stop to talk with you, make it a moving meeting and walk around together while chatting. Hide the TV remote and walk to the TV to change channels. When doing errands, park in a central location and walk to your store destinations. Return the shopping cart all the way to the store after grocery shopping. Never drive through—get out and park and walk into the bank or fast food stop instead. Do marching minutes. Every 30 minutes get up from your desk or easy chair and do one to five minutes of walking in place and stretching your arms, shoulders, and neck. Before eating lunch, take a 15-minute walking break. Look over your usual trips in the car. Are there any that you could do as walks instead, such as to the post office? If you take your kids to sports or activities, dedicate 10 to 20 minutes of that time to walking around after dropping them off or when you arrive early to pick them up. When waiting at the airport, secure your bags and take a good walk around the terminal area. Don't take the people-mover sidewalks. Form a workplace walking group and meet to walk together during lunch or break. Form a neighborhood walking group and meet to walk together in the morning, noon, or after work. Make a family habit of taking a 10- to 20-minute walk after dinner together or first thing in the morning. Chart your walking miles on a map of a trail or highway for a family or workplace walking challenge. Chart your walking and set a reward when you reach your walking goals. Charity walks are usually 5 or 10 kilometers (3 or 6 miles) and lots of fun. Visit local parks and enjoy the trails. Set a goal to visit them all in the next couple of months. Take seasonal walks such a holiday lights, flowers, gardens, nature trails, local festivals, historic home tours, and autumn leaves. Volkssport walking events are free or inexpensive walking events and self-guided walking routes. These are hosted by local clubs and are open to everyone. They are held in locations around the world. Join in a historic walking tour of your city or other nearby attraction. 1 mile = 2,100 average steps. Bicycling or swimming = 150 steps for each minute. Walking step equivalents are available for a wide range of activities so you can take credit for all of your movement, even if it doesn't register on a pedometer. Don't wait to start making changes to become more active. Your body was built to keep moving. By looking for ways to move more throughout the day, you will be doing what is right for health, fitness, and maintaining a healthy body weight. Dwyer T, Pezic A, Sun C, et al. Objectively Measured Daily Steps and Subsequent Long Term All-Cause Mortality: The Tasped Prospective Cohort Study. Ginsberg SD, ed. PLoS ONE. 2015;10(11):e0141274. doi:10.1371/journal.pone.0141274. Hill JO. Can a Small-Changes Approach Help Address the Obesity Epidemic? A report of the Joint Task Force of the American Society for Nutrition, Institute of Food Technologists, and International Food Information Council. American Journal of Clinical Nutrition. 2009;89(2):477-484. doi:10.3945/ajcn.2008.26566.